Holding the type certificate for Glasflügel gliders all over the world we are able to provide you with all required spare parts. 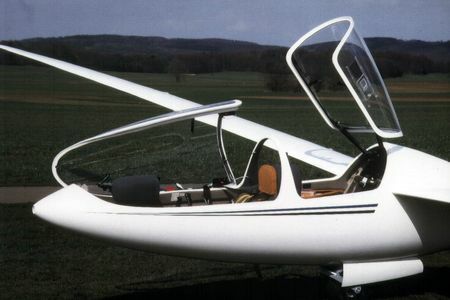 In addition, we offer you the professional overhaul, reparation and annual inspection of your Glasflügel glider. Of course, our longtime experience and know-how is also available for the annual inspection, overhaul reparation and new varnishing of gliders and motor gliders from all other manufacturers. Your instrumentation and electrical equipment of your aircraft seems to be not up to date anymore? Do you have not enough space for FLARM and PDA? We will renew your complete cabling and will construct your favored instrument panel. You are an ambitious contest pilot in search of possibilities to improve your aircraft? We offer you the best contest preparation by surface optimizing and the development of aerodynamical refinement.